Many types of DIY alternatives are available as an option to replace store bought products. One option is a homemade laundry detergent. You may find detergent that you can make at home will often be at a lower cost than products you buy at the grocery store. 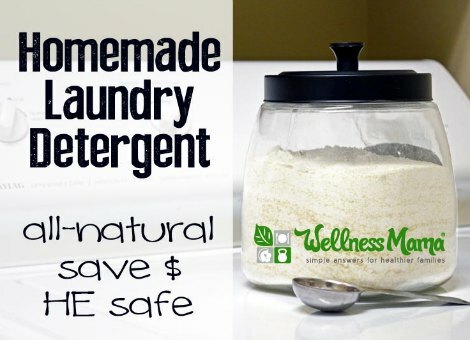 If you prefer DIY alternatives over store bought products, then making your own detergent may be beneficial. One crucial aspect you need to know if the difference between a laundry detergent and laundry soap. A detergent is in a powdered form and a soap is typically a liquid. Laundry detergent can also have a soap base depending on the type of product. This typically means more suds are created based on the size of load and the amount of detergent that is used. You may want to make a homemade laundry detergent for one or more reasons. This includes avoiding the additives, chemicals, and fragrances found in most store bought products. Some people can be allergic to some types of store bought detergents. If you want to add a fragrance to your detergent, then adding a variety of essential oils is an option that typically does not trigger allergies. The amount of homemade laundry detergent you make depends on your specific needs. You may want to make extra to have on hand if you do a lot of laundry. The detergent you make can also be used as a gift for a friend or family member.